XLCR Vehicle Management are fully commited to providing customers with first-class customer service, and are a company that will do exactly what it says and will never let you down. We're driven by our customers and we never forget how important they are to us. Treating customers fairly has been at the heart of XLCR's principles since we started back in 2000. 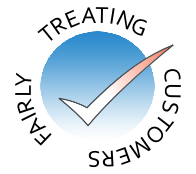 Treating Customers Fairly (TCF) is one of the cornerstone principles laid down by the Financial Conduct Authority. This guiding principle is sub-divided into six key elements which dictate the way in which we deal with our customers in terms of communication, expectations, level of service and the products and services we offer. Ensuring services are delivered to customers openly, with clarity and transparency, and do not contain hidden conditions or complex definitions. Ensuring, in the event of providing advice, that the advice given takes into account the customer's needs and circumstances. Taking the customer's privacy seriously and ensuring that members of staff are trained to follow the rules in relation to data protection and to keep customers' details secure and confidential. We are XLCR Vehicle Management Ltd, a limited company registered in England & Wales. Our company registration number is 03923327. We are authorised & regulated by the Financial Conduct Authority. Our FCA firm reference number is 315268. We are a leasing broker member of the BVRLA. Our membership number is 862. We are registered with the ICO as a Data Controller under the Data Protection Act. Our registered number is Z6019161.